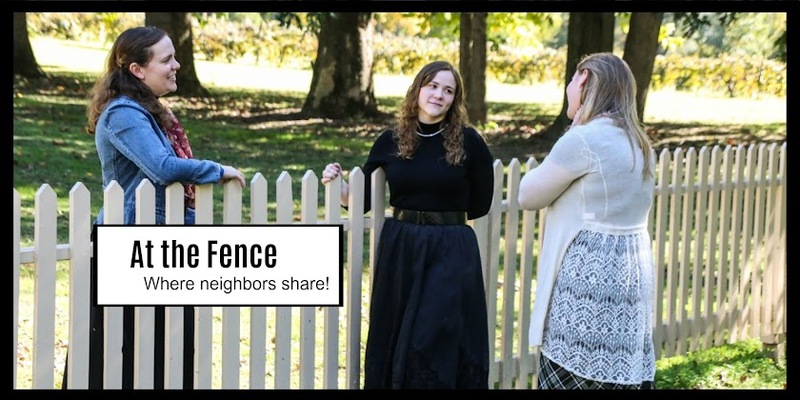 At the Fence: Talk About a Gift for the Man in Your Life! Would your husband, fiance, son, son-in-law, brother, father....or anyone else you know be interested in a pocket knife? Taylor Brands sent me their Schrade SCH103 Folding Knife for review and they included some for giveaway! I am going to be honest here, my husband claimed the knife the day it came in, but I also have a daughter who is looking at the knives pretty hard. She already has a small collection that she trades out as to which one she carries. Yes, she is one of the ones taking Tae kwon do. Anyway, my husband was pretty impressed with the Schrade Folding knife. I am going to give you the description from the website first. First off, I have to say I am impressed with the quality of the Schrade SCH103 folding knife. I have found it on a couple of sites for approx. $30. The liner lock is one of the features we like. The blade is locked into place so it will not accidentally fold shut on you. My husband also likes the pocket clip. He usually carries his pocket knives in his pocket, this allows him to slide the knife in the pocket, but clip it at the top for easy access. For the females in the family it also allows us to attach it to a pocket in our purse or to the inside of the purse where we can find it quickly if needed. This is a handy folding knife to have around. Small enough to fit in the pocket, yet big enough to work with. The blade easily sliced through the apple for my husband and was able to cut a small branch. (I am not talking a twig.) So much for this being a gift for him! He has claimed it and it is now in his possession! My husbands opinion: He likes the military/tactical look to the knife. Good size. Nice grip, easy to hold. My father Stewart Taylor graduated from Emory & Henry College (Emory Va.) in 1974. He started Taylor Cutlery in 1975 by importing from Seki City Japan with a $5,000 loan from First American bank. At that time my mother Sheila Taylor taught school and the family business survived because of her income. All the profit from selling of knives went back into building the business. The early knives were designed to be commemoratives and were marketed by Stewart Taylor at the national knife collectors shows. These quickly became a regular product at most of the local gun shows. My father was very active in traveling to all types of gun and knife shows and this is where he made many good friends whom we still do business with today. The brands marketed during this period were the Buck Creek, Owl Head, Elk Horn and Taylor Cutlery. In the early 1990's we became the worldwide licensee for Smith & Wesson Corp. After our success in establishing Smith & Wesson's presence into the knife market the opportunities for our company licensing other lines really expanded. During this time we did become the licensee for Coleman as well as Zolan Arts for John Deere based commemoratives. On October 26th 2004 we were the successful bidder to purchase all of Imperial Schrade's intellectual property rights. This includes all of the trademarks as well as the patents of Imperial Schrade. This is one of the most exciting days of our lives and an absolute dream come true. We purchased all of the tooling enabling us to come along with the exact same product line that has made Schrade such a success for the last 100 years. . In 2005 we changed our corporate name from Taylor Cutlery to Taylor Brands. One of the main reasons is due to reconstruction of our core business plan to include other products besides cutlery. Today we are licensed and produce Smith & Wesson cutting tools, writing pens, and collapsible batons. We own and produce all the Schrade branded cutting tools including the Old Timer & Uncle Henry brands. We are licensed with US ARMY, PRIMOS, and have just finished a 3 year license with Boy Scouts of America. We produce over 1,000 different models and do business with customers in 42 countries. Our companies main objectives are to produce the highest quality products at the most affordable prices. Quality and integrity are essential for our business and customer service and safety are key components of our business model. The really great news is, Taylor Brands sent three more Schrade knives for giveaway! 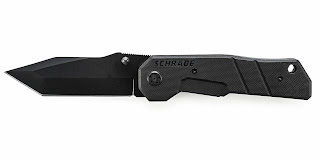 Yes, you heard that right, three neighbors will each receive one Schrade SCH103 Folding Knife to keep or use as a gift. Enter now and please share this giveaway with your friends! This would be great for my husband as he is always coming in to get one of my kitsch knifes to use to cut things. I'd like to win this for my hubby. He does a lot of hunting and loves the outdoors; I'm sure he'd like to find this in his stocking this Christmas. I'd love to give this to my Hubz. I think he'd love it. It would help a ton in an emergency and it looks so amazing! My daughter is an avid camper and I think she would get a lot of use out of this nice knife. It looks like just the right size of knife my husband would like and it would make a great Christmas gift for him!! I would love to win this for my husband. He would be very pleased using one of these knives. I would like to win because my dad could use a new knife for cutting up boxes and other household projects. I would love to win this for my husband. He likes to keep a handy knife around for various household tasks. I'd like to win for my cousin who does a lot of fishing. I have a few knives and currently carry a Kershaw, but I like the Tanto shape of the blade. It looks pretty sturdy. Thanks! I'd like to win because I love knives, especially tactical knives like this one. I would like to win one for my husband. He has carried a knife for years. He would love this one. My husband loves a good pocket knife and it looks like he would love this one. I'd love to win this so I can give it to my hubby because he would definitely get some good use out of the knife!! I want to win it for myself. Would love to have one to carry in my purse. I'd like it to add to my collection! I'd love this because my hubs carries a knife every day, and he could definitely use a new, quality one! My husband would love one of these in his stocking! This would be great for my son. He has quite a collection going on, but most are falling apart already. I'd love this for my husband!